Non sibi, sed suis: “Not for one’s self, but for one’s own.” As reflected in our motto, a spirit of community engagement has been a part of Tulane’s culture from its beginning. The ties between community engagement and education were cemented in 2006 when Tulane became the first major research university in the country to integrate public service into its core curriculum. Today Tulane is recognized as a leader in service learning and regularly tops rankings for participation in the Peace Corps and other measures of socially conscious graduates. Numerous community projects running throughout the year benefit the city, region, and world, as well as Tulane students themselves. 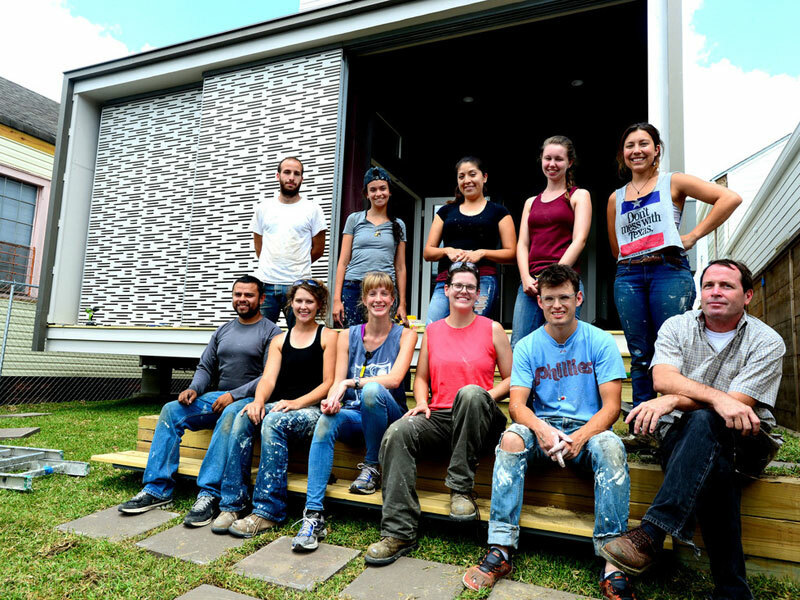 Architecture students get hands-on experience with design and construction while improving a local neighborhood. Latin scholars spend time in New Orleans classrooms, honing their skills and educating the next generation. Students in the Himalayan Experience India Program travel to India and meet with His Holiness the Dalai Lama. These are just a few examples of how our students gain real-world experience and build leadership skills, all while making a difference. The Center for Public Service supports a university curriculum and research agenda by uniting academics and action, classroom and communities. The center pairs faculty with area partners to develop educational programs that benefit the local community. And the staff help students choose service programs that enhance their education and meet the public service graduation requirements. Prospective students who are active in their local communities may apply for the Community Service Fellowship during the admission process. Approximately 15 fellowships are awarded annually and these Community Service Fellows complete an average of 150 service and leadership hours each year.